Date: Sep 22 2018, 3 a.m. - 2 a.m.
Let Baumholder Outdoor Recreation be your designated driver to the 185th annual Munich Oktoberfest! World renowned for an enormous assortment of the highest quality Bavarian beer, the Oktoberfest is the fall destination of choice for people from all around the world. Sit back and enjoy the festivities as you sip on a Märzen Beer, the slightly darker and stronger beer which is specially brewed in March so that it can be ready for the festival. 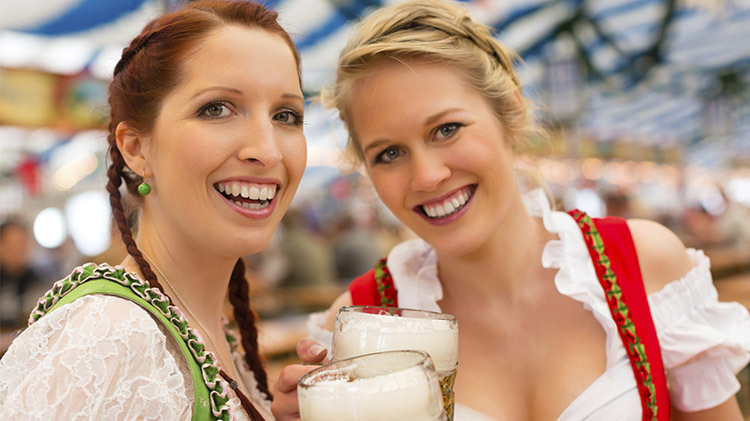 In addition to the food, drink and festivities available in the massive beer tents, Oktoberfest offers live music, rides, souvenirs, and a great mix of people from all over the world. This once in a lifetime experience is a must for any beer lover, and deserves a place high on the to-do list for anyone stationed in Germany! Reserve your space with Baumholder Outdoor Recreation before this trip sells out. All reservations must be made through Army Outdoor Recreation.